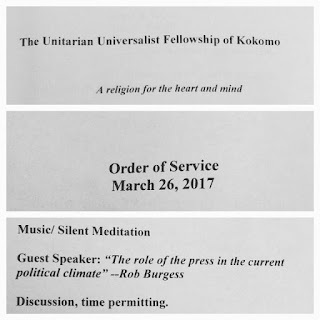 This Burgess: Rob Burgess - Speeches, appearances, etc. I was honored to be invited by Cory Cathcart, a student at Indiana University-Purdue University Indianapolis' Department of Journalism and Public Relations in the School of Liberal Arts, to speak to her 300-level Feature Writing class from 3 to 4:14 p.m. Tuesday, March 26, 2018. The 3-credit lecture class was taught by Chris Lamb. 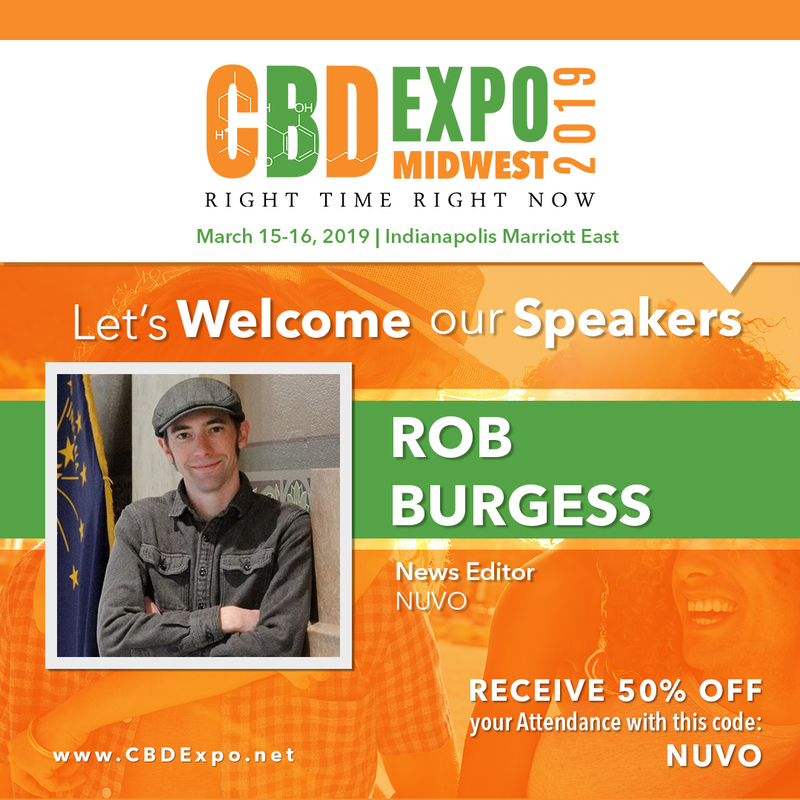 Rob Burgess is a nine-time award-winning journalist whose work has appeared in print, radio, online and television. He is currently News Editor at NUVO. 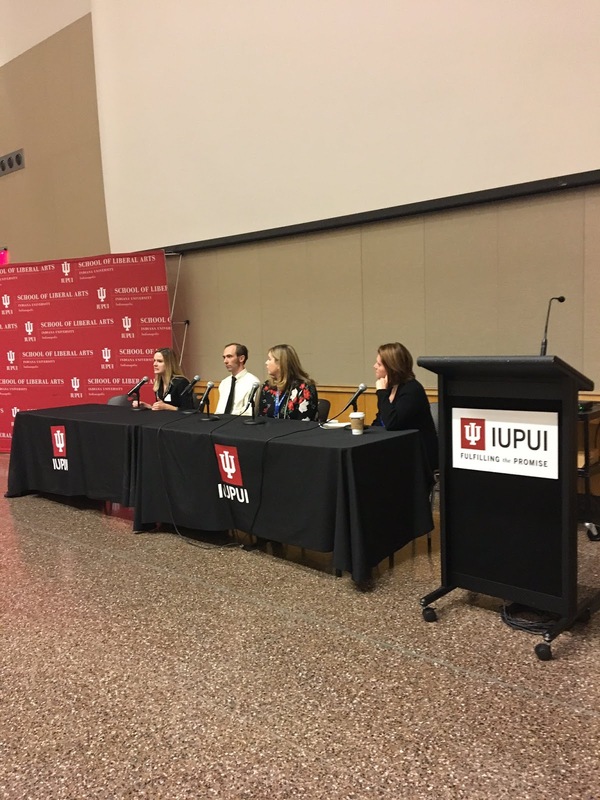 Before that, he was City Editor, Opinion Page Editor, and Editorial Board Member at the Kokomo Tribune; and Managing Editor of the Indiana Lawyer. He was also a reporter at WFHB, the Times-Mail, The Reporter-Times, Ukiah Daily Journal, and Ukiah Valley Television. Brad has been in the Cannabis Industry for over 3 years and has been an outspoken advocate for legalization, decriminalization, and proper regulation. 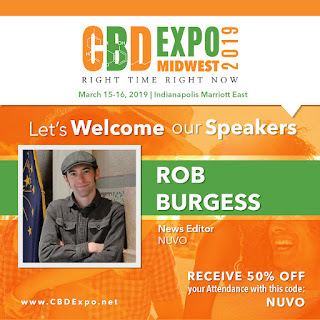 While he was a partner with California Weed Blog, he produced the CannaBiz Expo in Los Angeles, was the lead editor, and investigative journalist. With a focus in Cannabis Science, Business, and Politics, Brad has written and spoken on many topics that have educated thousands of people and changed the course of California Regulation. Brad is now living in Florida and has his sights on Adult-Use in the state. He will be presenting a bill on the floor for the 2019 session to legalize and decriminalize Cannabis State-Wide with the assistance of many leaders in the industry from multiple states, which will be one of the most comprehensive, progressive, and structured bills to date. Brandon is an award winning change agent and educator, having gained an understanding of social and ecological entrepreneurship at an early age. He has led public and private workshops on design solutions for over a decade and has presented across the globe, including MIT, Yale, the United Nations University in Tokyo and many other venues on his work in Indiana, sustainability and zero emissions. He is currently working with a variety of organizations from global industries to small not-for-profits and local municipalities along with entrepreneurs, pushing the boundaries, inspired by the innovations found within nature while exposing others to the opportunities to do better with what we have. Brandon is a ZERI certified practitioner and promoter of the Blue Economy (theblueeconomy.org) and has traveled extensively to nearly 40 countries researching dozens of global projects, learning, and sharing along the way. He has appeared on numerous radio shows, TV spots, and newspaper and magazine articles in central Indiana and internationally. I was born and raised in Indiana. I became a marijuana activist in 2008. I have always been interested in the healing property of the cannabis plant. What turned my interest into a passion was our family dog’s battle with epilepsy. This became the reason I moved my family to Michigan in 2014. After extensive research, and getting certified I started an edible and extract company. Medie Edie’s has successfully been setting a standard for our industry since 2014. It has been my dream to be able to bring back to Indiana my knowledge and expertise and apply it in hemp and CBD. I am looking to vertically integrate from working with the best farmers, to processing and making available a top quality product for consumers. Eric is the Director of Research & Development for Nemadji/ExtraktLAB where he leads the extraction, refinement, and formulation of hemp oil and isolates. Prior to Nemadji, he was Director of a Cannabis testing lab and several THC manufacturing facilities in San Diego. Eric earned his B.S. in Bioengineering from Arizona State University and his PhD in Chemistry from the University of California San Diego. 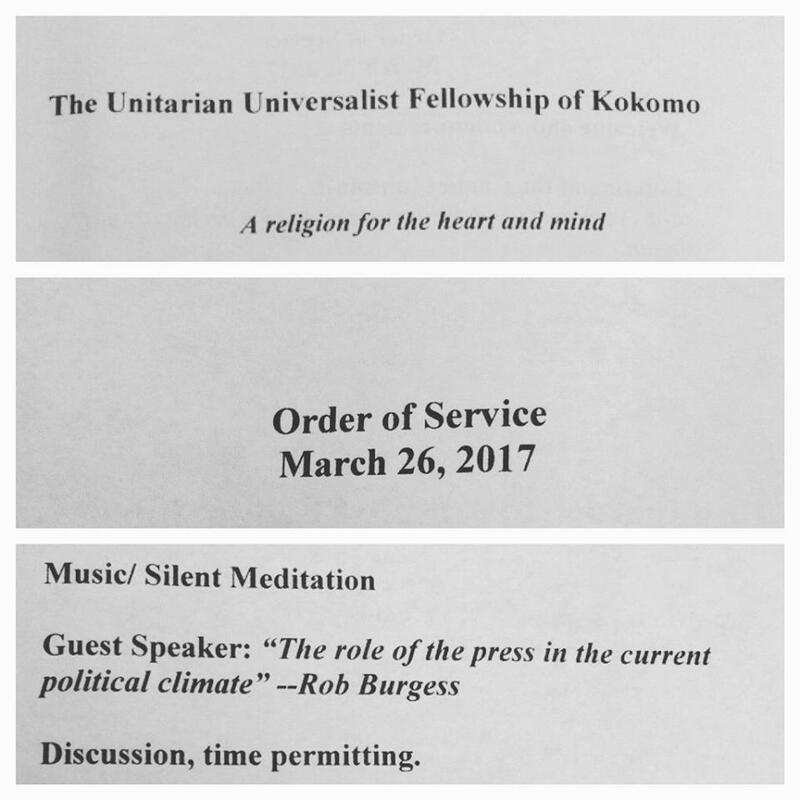 On March 26, 2017, I gave a speech titled, "The role of the press in the current political climate." On Oct. 11, 2015, I gave a speech titled, "The True Threat to Marriage." On Sept. 21, 2014, I gave a speech titled, "Separation of Church and State." On Oct. 20, 2013, I gave a speech titled, "The Development of Empathy." 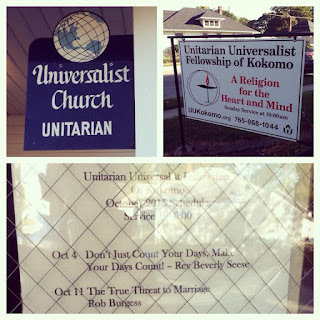 It was featured in the Kokomo Tribune's Church News. 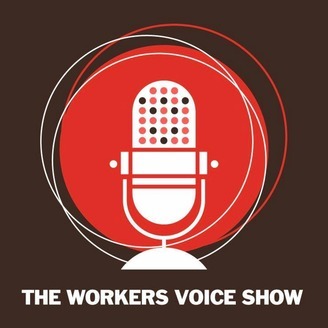 I was recently a guest on The Workers' Voice, a radio show on Indiana Talks hosted by Indiana University Kokomo Labor Studies Program associate professor Patrick Hill (who was out sick) and Randy M. Obenchain. You can listen to the show in its entirety by clicking this link. It's under the Jan. 8, 2016 heading. 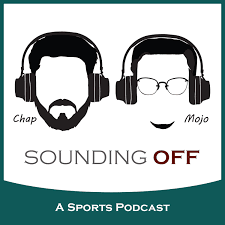 You can also listen to it on SoundCloud, Stitcher and iTunes. 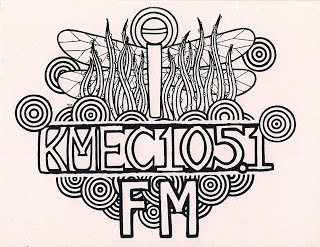 At 11 a.m. May 31, 2008, I was interviewed on Jin Gwang's show "The Compassion Network" on KMEC in Ukiah, California. According to the show's website, its focus is on: "speakers who commit acts of kindness locally and globally." If there is audio of this archived, I don't know about it.